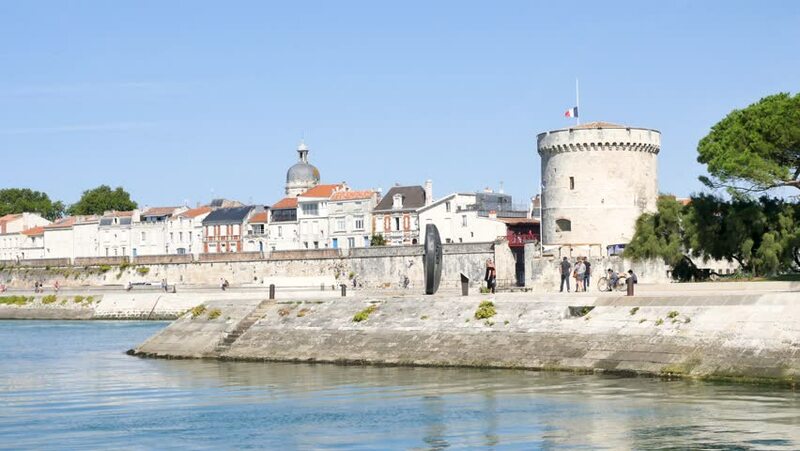 In the old port, in La Rochelle, a town in the west of France. There is famous old towers. It is a city in the Charente-Maritime department, next to the Atlantic Ocean. hd00:41Top view of the old town Budva, Montenegro. hd00:18St. John fortress at the east entrance to the Dubrovnik old town, Croatia. hd00:16PIRAN, SLOVENIA - AUGUST 30, 2016: Piran, beautiful medieval town on Adriatic coast and one of major tourist attractions in Slovenia. 4k00:15Comillas, Santander, Cantabria, Spain. Filmed in April 2017.